Hey, everyone. Rachel here. 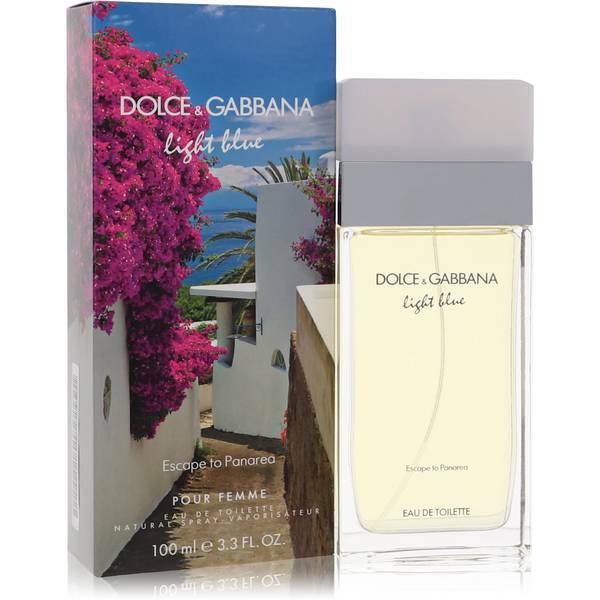 And today I'll be reviewing Light Blue Escape to Panarea by Dolce and Gabbana. This fragrance is part of the iconic Light Blue line and is meant to evoke the luxurious Raya Hotel on the island of Panarea in the Aeolian island chain of Italy. 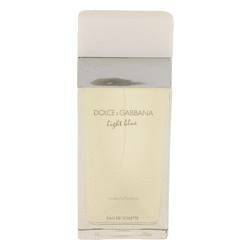 Simple and lovely, the notes consist of pear, bergamot, jasmine, orange blossom, ambergris, tonka, and musk. I highly recommend this fragrance for spring and summer daytime wear. That's all for now. I hope you enjoyed this review. Don't forget to follow FragranceX on Facebook, Instagram, Twitter, and Snapchat. And take just a moment to subscribe to us on YouTube. 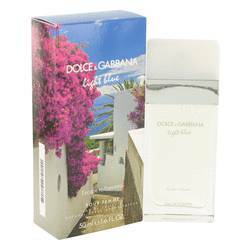 Light Blue Escape To Panarea Perfume by Dolce & Gabbana, Soft notes of orange blossom and nocturnal jasmine welcome you to the island of Panarea . The bright aromas of pear and Calabrian bergamot brings this quiet, luxurious island to life. Tonka and patchouli add a seductive foundation. Light Blue Escape to Panarea combines the citrusy top notes of the Mediterranean with the sweet, intoxicating base notes musk of ambergris and white musk. Whether the floral sweetness invites a sense of home or Read More Read More adventure, this perfume is a perfect choice for anyone who feels the call of warm, sunny beaches. 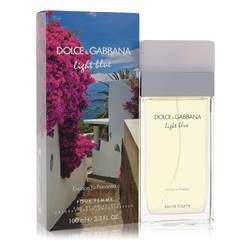 Dolce & Gabbana is internationally recognized for their clothing, jewelry, perfumes, and cosmetics. Beginning as designer consultants, they soon expanded to other products and began exporting around the world. They were award the “Most Feminine Flavor of the Year” award in 1993, having only introduced their perfume line a year earlier. The Italian fashion house creates luxury products for both women and men. All products are original, authentic name brands. We do not sell knockoffs or imitations.